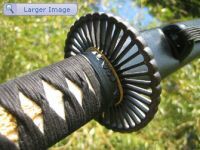 This wonderfull collection of Japanese Katanas are carrying the majesty of medieval Asian times. 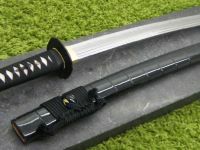 A katana sword is a great addition to your samurai sword collection and of course these katanas are fully functional and can be use for Japanese Sword fighting. 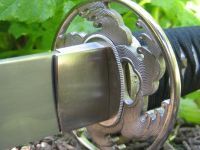 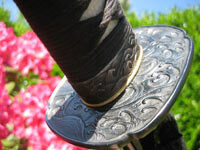 The Iaido swords listed here does come from the Hanwei forge and are made of a special stainless steel. 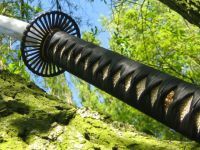 They are much more durable than aluminum alloy Iaito.These very affordable Katana swords are the ideal training tools for safely practicing the japanese sword drawing art or Iaido. 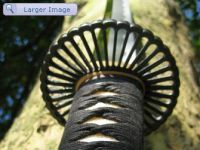 The rest of the Japanese Weapons in this categorie are real battle ready samurai swords and very sharp ! 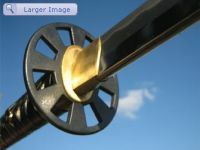 So be careful when handeling these beauties.